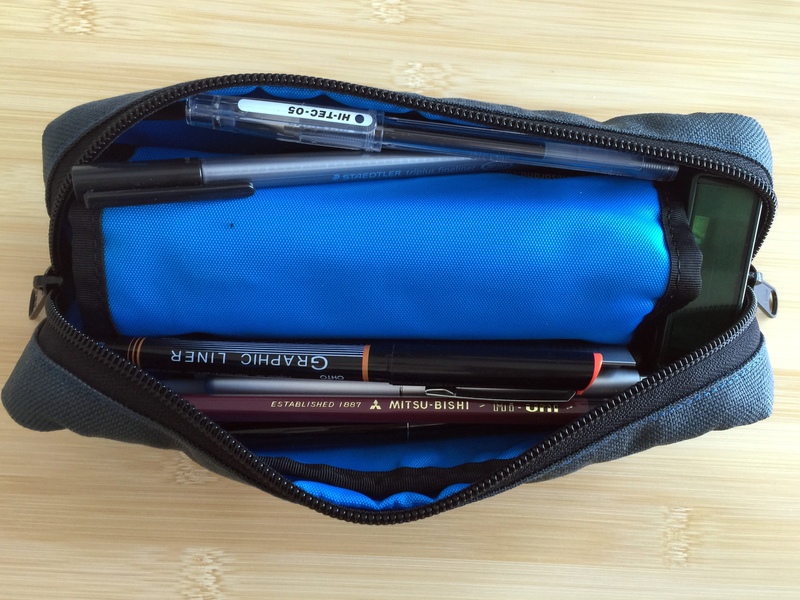 The Brasstown in Nock Co’s most unique design, combining a pen wrap with a zip pencil case. The pen slots in the wrap are generously sized and I am able to fill the slots with some relatively fat pens. 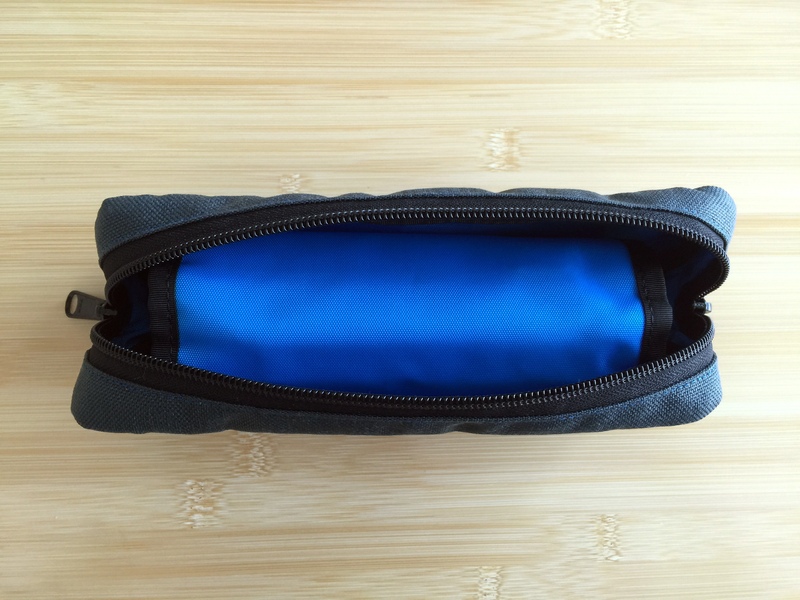 When you roll the wrap up into the case you will notice that there is quite a bit of extra room. I am able to fit a number of extra pens as well as a pencil sharpener and a small ruler. How not to load the extra item in a Brasstown case. 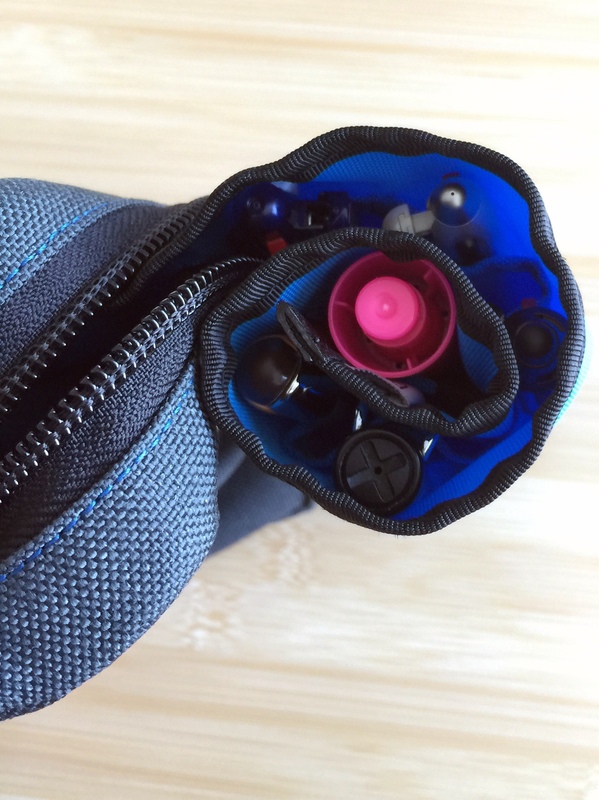 I have found that the best way to load this case is to put all of the extra items (the ones not in pen slots) underneath the wrap as you will be able to unroll the wrap without any interference. 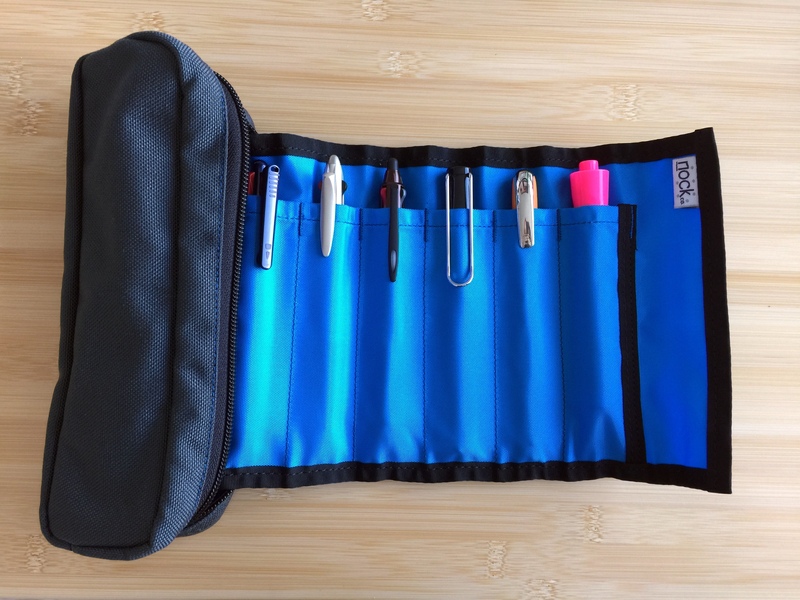 What makes this case unique is that you can carry and protect six expensive pens along with some cheaper pens. If that appeals to you, you wont find a better case. 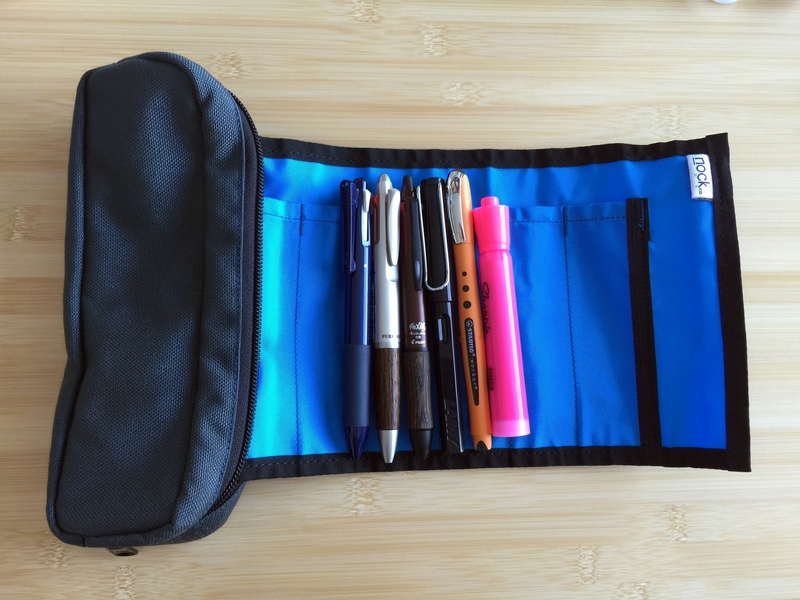 At the moment I have six pens in slots and another 10 loose in the case. 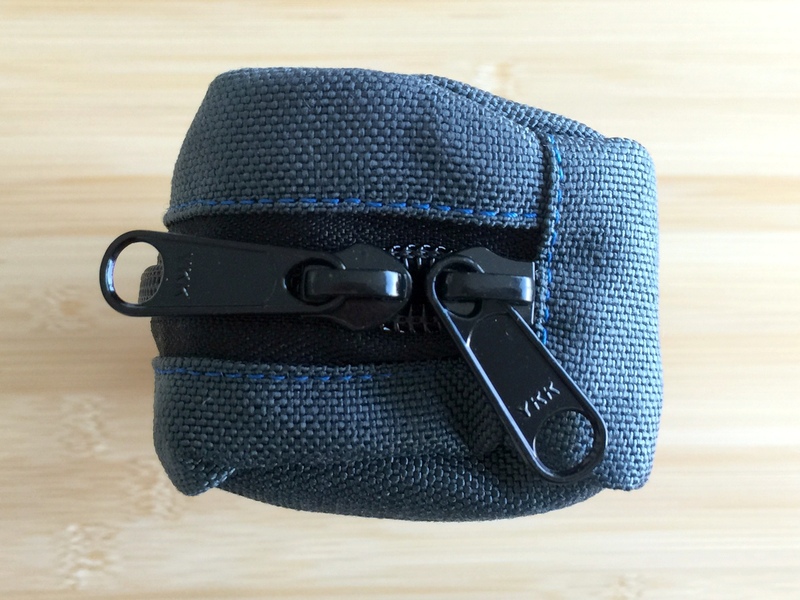 The steel 1000D nylon exterior looks great with the blue contrast stitching. 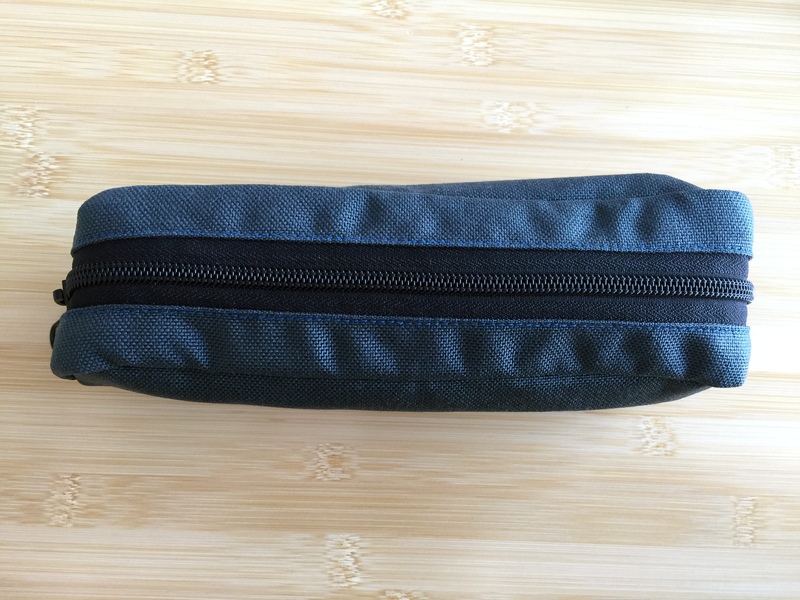 The interior is done in a blue nylon pack cloth which is great for a pencil case but I think the wrap portion would be better off in a softer organic material like a cotton felt. Nock Co. cases tend to have a blobby look and the Brasstown in no exception; I do wish that it had a bit more of a structured shape. 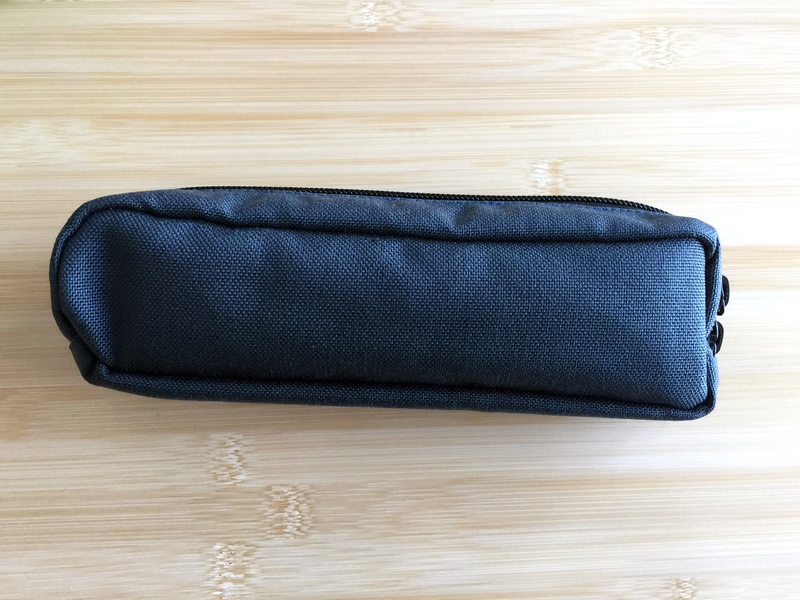 The Brasstown is a great case and even though I didn’t know I needed it, I can’t live without it now. The Brasstown retails for $35.00 and is handcrafted in the USA.